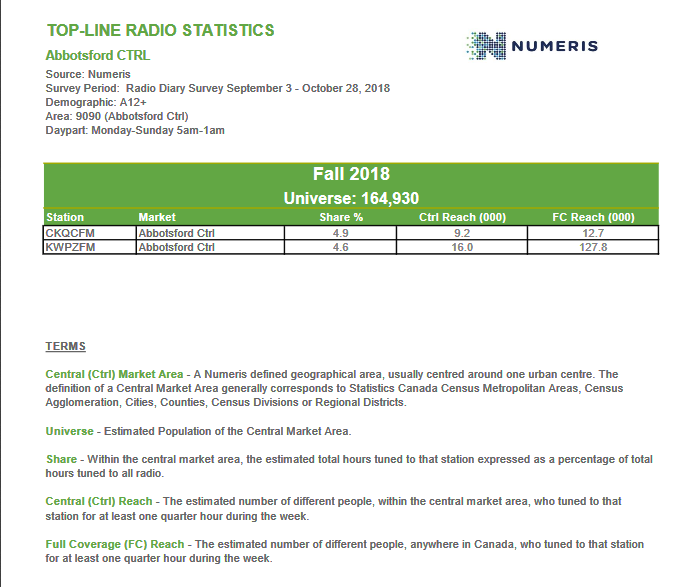 Fraser Valley – Numeris, the radio ratings surveying organization, released the radio ratings for the Fall of 2018. Unlike major markets such as Vancouver, who have four ratings periods each year, the Fraser Valley only has the one. In major markets, ratings are done with PPM, portable people meters, similar to an old pager, that you carry and it measures any radio station you are listening to or come in contact with (such as music services in a shopping mall or doctor’s office). In markets such as the Fraser Valley, it is done by the less efficient ballot format. You are asked to keep an on line diary of your listening habits over the course of a week. The ratings help determine what radio stations will charge their clients for ads on the radio and give them a snap shot as to how they are doing. Only local radio stations are listed in these numbers. Country 107 leads the way in Abbotsford. 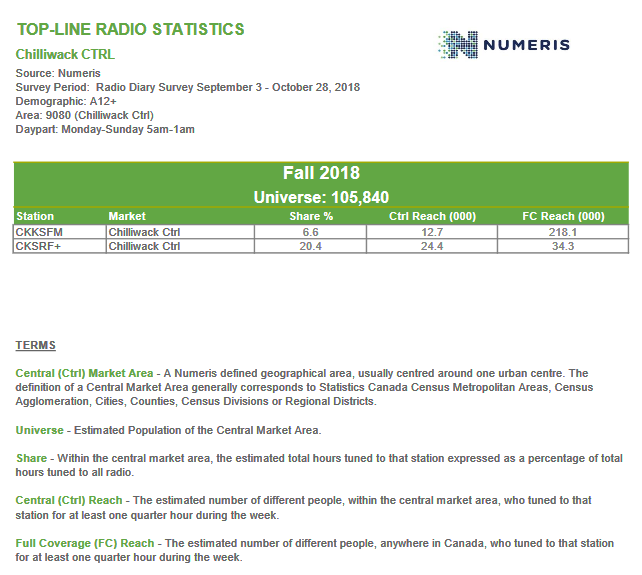 Star FM is the leader in Chilliwack. Two caveats: A) Praise 106 FM from Lynden, Washington is considered an Abbotsford station, as they have many Fraser Valley advertisers and those ad dollars flow south of the border. B) 89.5 The Drive in Chilliwack does not subscribe to Numeris, although now with new ownership from the Jim Pattison Broadcast Group, that could change next year. The Fall Radio Ratings for Vancouver will be out soon. 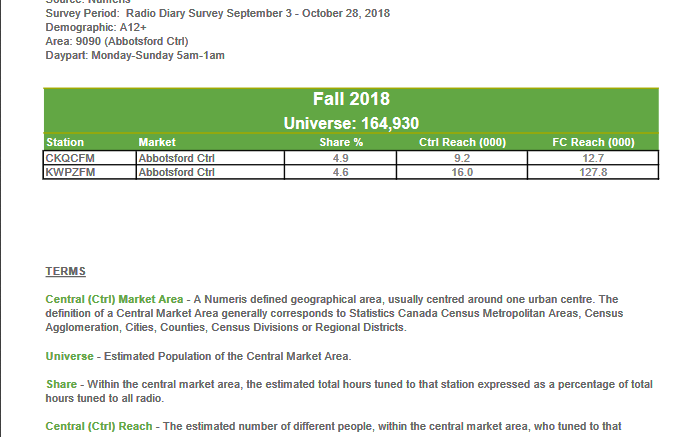 Be the first to comment on "Fall 2018 Fraser Valley Radio Ratings"